2016 Xcursion X23C DEALER DEMO - SPECIAL PRICING!END OF SEASON DEEP DISCOUNT! 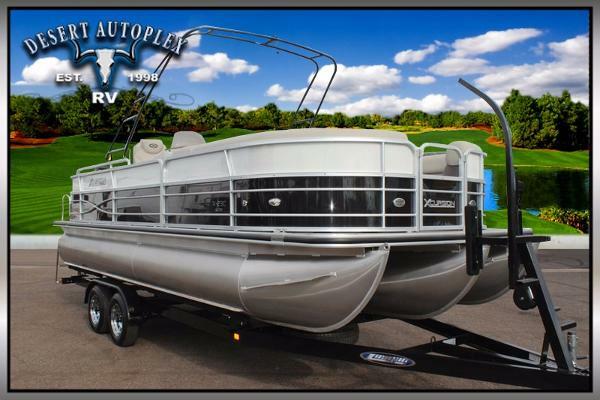 !2016 Excursion by Forest River Tri-Toon2013 Mercury 4-Stroke 115HPTeak/Holly Flooring, Bimini Top, Playpen Cover, Tow Bar, Changing Room.The Boat has 3 hours on it and carries the manufacturer's 5 year "bumper to bumper" warranty... the motor has approximately 90 hours and comes with a one year warranty. 2016 Xcursion 23c Jump aboard one of Xcursion's cruise models and take note to the features that surround you. We have taken the typical cruise pontoon to the next level with our standard Sand Dollar Berber carpet, suspension foam seating, a well appointed fiberglass console and for a final touch our signature 'X' rail design. Xcursion's C model is available in 19', 21', 23' and 25' models. 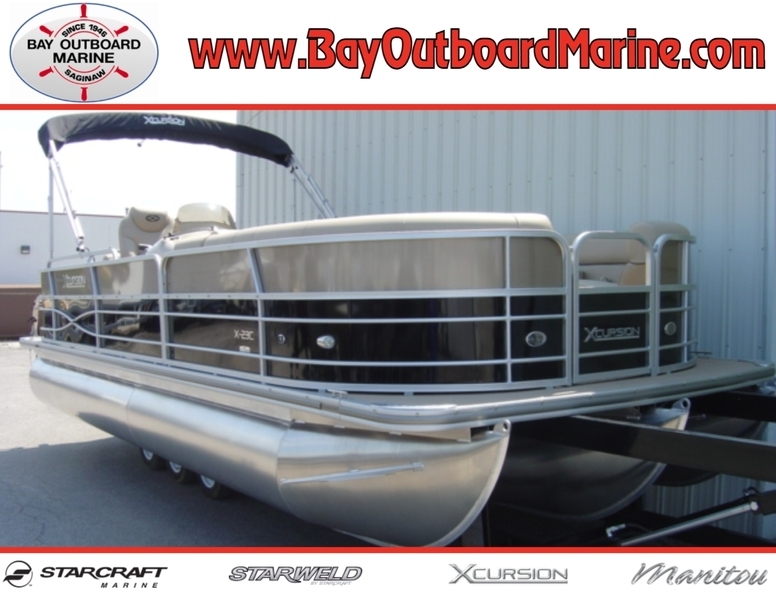 2011 Xcursion X23C Full cover, bimini top, snap out carpet, subwoofer & amp. 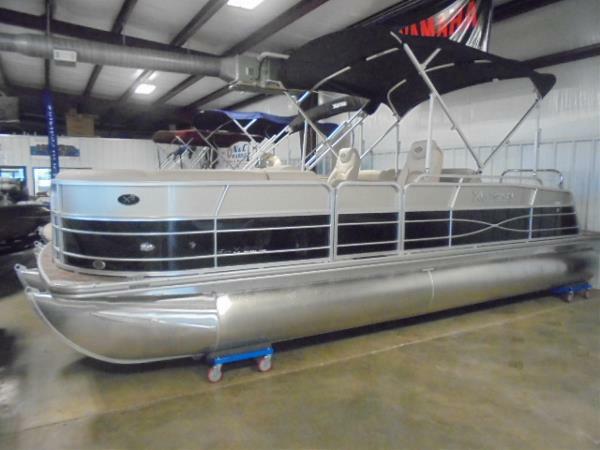 - Triple Tube Pontoon! Clean & Ready for the Water! 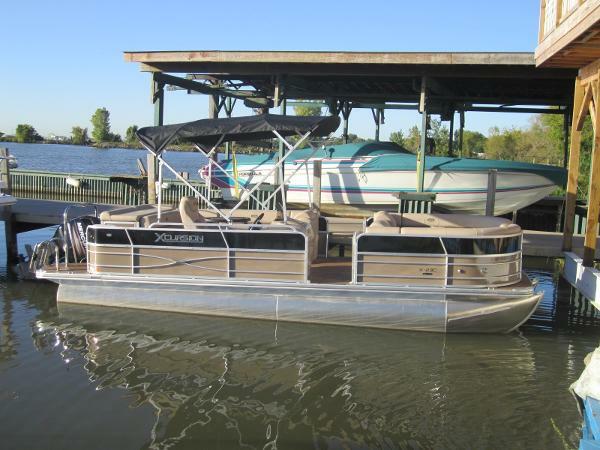 2012 Berkshire Xcursion X23C, Tritoon Pontoon -- 23'9". Honda V-Tec 150 Hp Motor - Only 90 hours (Fresh water/Salt water friendly. 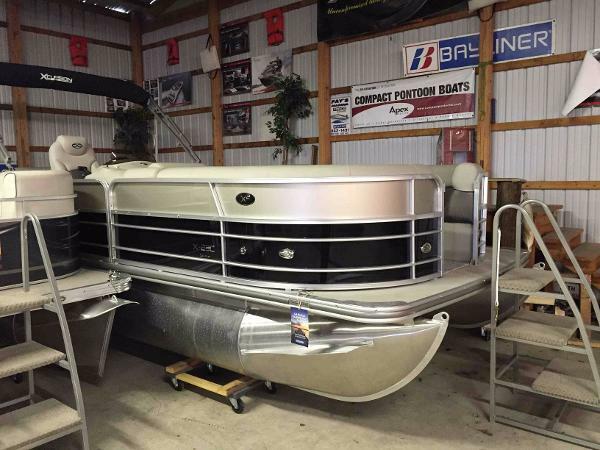 Vinyl Flooring with optional Snap In Marine Grade Carpet.Bimini.Boat Cover.Tow Bar. Waterski, tubing, etc., ready!! 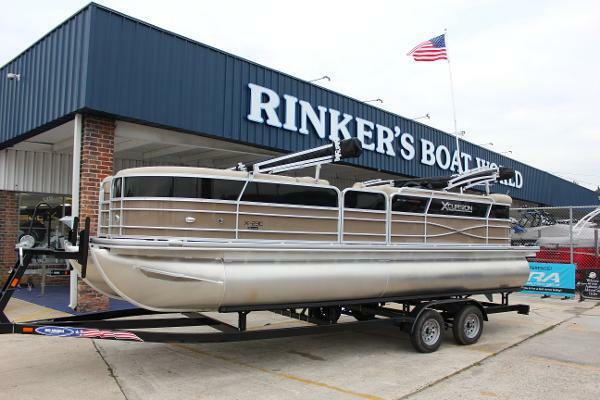 Navigation System.Fish Finder.JL Audio 5 Way Amp w/ Subwoofer along w/ Polk Audio Speakers; Clarion Stereo.1 year factory warranty left***Tandem Axle Trailer***All for $30,000. Selling separate -- Hydro lift $2,500. 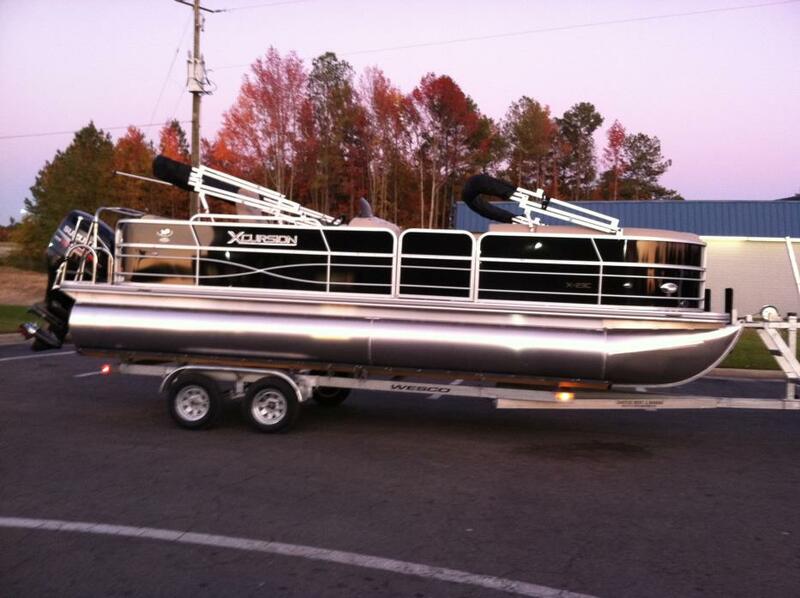 2012 Xcursion Pontoons X23C X3 2012 Xcursion X23C X3 with Suzuki 200HP (DF200TX) Outboard and dual axle trailer. Engine has 90 hours and boat has alway been kept in covered storage. Deepwell center storage that holds skis and other water toys. 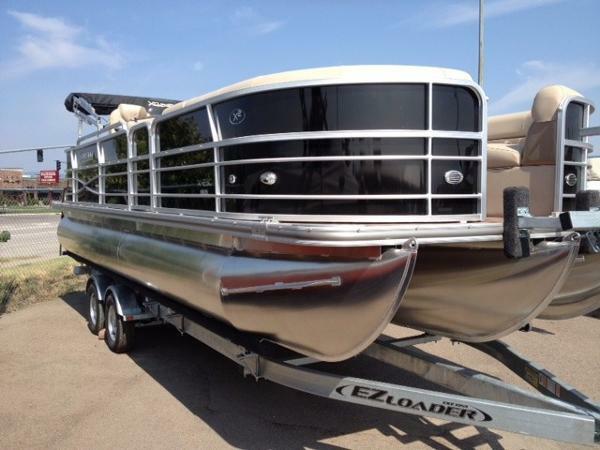 Has ski tow bar and hookups to pull two inner tubes. 50 gallon gas tank allows for mulitple weekends on the water with out filling up. 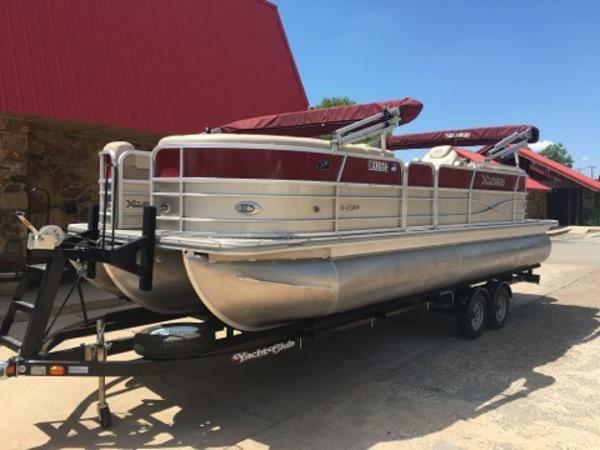 Double Bimini cover, changing area in stern, Hummingbird 385cs GPS Fishfinder, 2 tables (bow and stern) that are removable, dual batteries and a sink with freshwater storage. Boat is rated to carry 14 people and will pull skier when fully loaded with gas and friends. 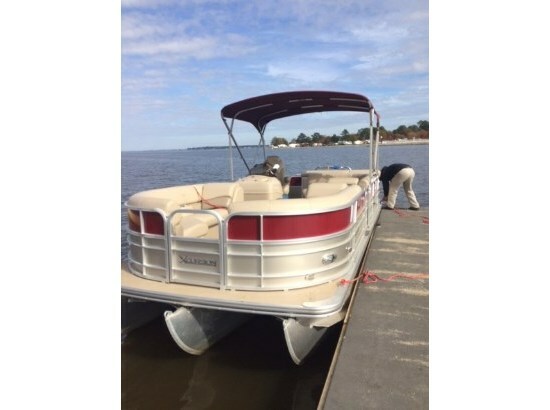 Great boat to get family and friends out on the water for a great day of fun. 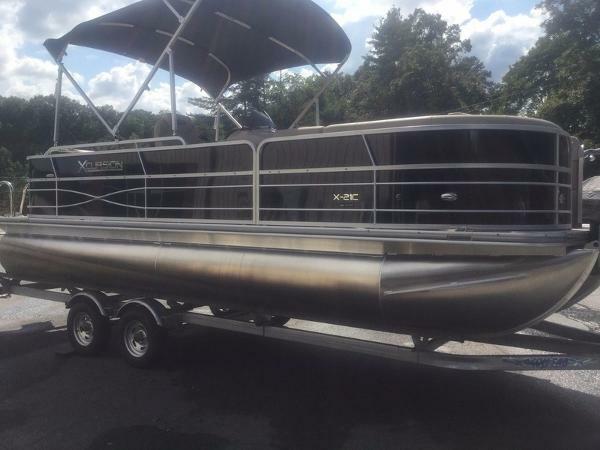 2015 Xcursion Pontoons 21C 13 2015 Xcursion Pontoons 21C 13 Slightly Used 2015 Xcursion Tri-toon Pontoon. Comes with Yamaha 150 hp, tandem axle trailer. Jump aboard one of Xcursion's cruise models and take note to the features that surround you. We have taken the typical cruise pontoon to the next level with our standard Sand Dollar Berber carpet, suspension foam seating, a well appointed fiberglass console and for a final touch our signature 'X' rail design. Xcursion's C model is available in 19', 21', 23' and 25' models. 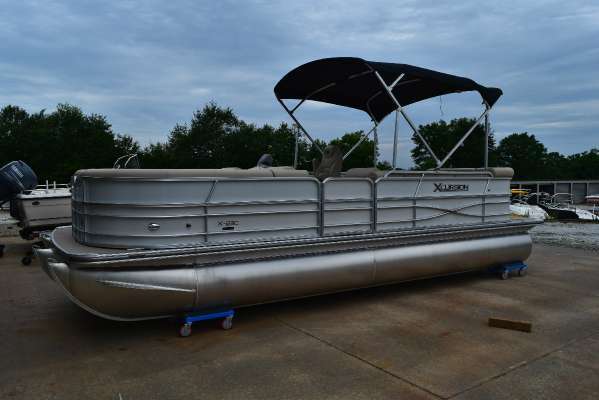 2015 Xcursion Pontoons X-23C w/2.75 Pkg 2015 Xcursion Pontoons X-23C w/2.75 Pkg, w/150hp Pontoon Series E-TEC! Includes: Cover, Snap In Carpet, Privacy Curtain & Ski-Tow! 2.5 TRI-TOON PACKAGE Includes: EVINRUDE 150HP PONTOON SERIES E-TEC Remote Oil Tank Fuel Injection Power Tilt Color Matched Mooring Cover Two Tone Paint Hi Back Captain's Chair Wood Grain Table Wood Grain Steering Wheel (2) SS Portable Cup Holders Snap-In Carpet Stainless Steel Ski Tow Walk In Privacy Curtain Hydraulic Steering Painted Side Panels w/X Rail Design L-Group Seating (3) Chaise Lounges Port Side Entry Rear Sundeck Full Vinyl Rear Entry w/Boarding Ladder 2014 Xcursion Pontoon Model X23C Jump aboard one of Xcursion's cruise models and take note to the features that surround you. We have taken the typical cruise pontoon to the next level with our standard Sand Dollar Berber carpet, suspension foam seating, a well appointed fiberglass console and for a final touch our signature 'X' rail design. Xcursion's C model is available in 19', 21', 23' and 25' models. 2015 Xcursion Pontoons X-23C w/XS Pkg 2015 Xcursion Pontoons X-23C w/XS Pkg, w/150hp Pontoon Series E-TEC! Includes: Cover, Snap In Carpet, Privacy Curtain & Ski-Tow! XS TRI-TOON PACKAGE Includes: EVINRUDE 150HP PONTOON SERIES E-TEC Remote Oil Tank Fuel Injection Power Tilt Color Matched Mooring Cover Two Tone Paint Hi Back Captain's Chair Wood Grain Table Wood Grain Steering Wheel (2) SS Portable Cup Holders Snap-In Carpet Stainless Steel Ski Tow Walk In Privacy Curtain Hydraulic Steering Painted Side Panels w/X Rail Design L-Group Seating (3) Chaise Lounges Port Side Entry Rear Sundeck Full Vinyl Rear Entry w/Boarding Ladder 2014 Xcursion Pontoon Model X23C Jump aboard one of Xcursion's cruise models and take note to the features that surround you. We have taken the typical cruise pontoon to the next level with our standard Sand Dollar Berber carpet, suspension foam seating, a well appointed fiberglass console and for a final touch our signature 'X' rail design. Xcursion's C model is available in 19', 21', 23' and 25' models.